Quality – You know why do they expect it, right? Who wants to keep a notepad, which may give them bad time or why should one at the first instant waste their time and ink for scribbling over a cheap notepad, when ink gets scattered due to low quality pages. This type of cheaper notepads may save your money, but they seriously impair your repute and it would send wrong signals to people. So, try to buy a good quality notepad, which serves its purpose and keeps people happier. If you are not sure about the quality, then check with the supplier, if they offer some free sample or paid samples. Ample Writing Space – A name suggests a notepad should offer anyone space for scribbling their notes or information. If you are in process of choosing one for your promotional purposes, take care to ensure that your brand information is restricted in 20% of the total usable space. People love to retain notepads, which gives them ample of space for scribbling or doodling. Ecofriendliness – Unlike yesteryears, today customers are getting eco-conscious. They expect their gifts to be eco friendly. With increasing indulgence with social media websites, people are well- informed about their actions and their impact on society. Therefore, they would always expect you to be eco-friendly and offer them some eco-friendly gift, which they can proudly retain. 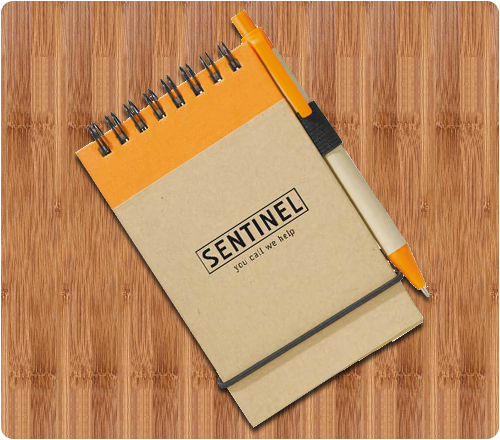 You can choose over some budget-friendly eco-friendly notepads offered with jotter pen. People would be double happy when you offer them a eco-friendly gift and a pen, which they can carry always without bothering to search for their pen in abyss of purse or borrowing it from somebody. Overall Visibility – This may not be a priority with many of your customers, still they expect a notepad to be in white or other light pastel colors, so that they feel contented while writing on it. 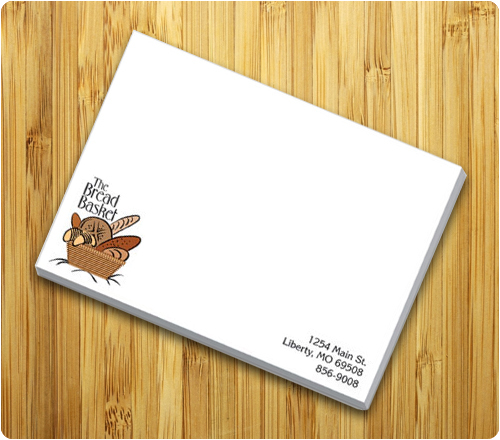 You can ensure on this aspect by choosing more authentic or somber looking notepad. Once you have checked on these points, try to source your promotional notepads from any reputed online supplier selling these custom notepads because they offer you ample of benefits such as free design assistance, free online design proof, free shipping and free artwork.